Registering for trading on cryptocurrency exchanges can be a tricky business. 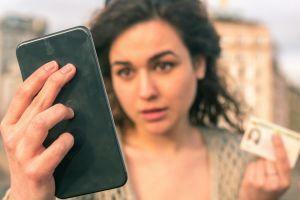 On one hand, you may be reluctant to hand over a lot of your data because it may seem that a selfie where you hold your ID card in your hand is over the top. On the other, cryptocurrency exchanges deal with assets that have often been called criminal tools, and knowing their customers is a step to protect themselves - and one that they have to take very seriously. P.A.ID Strategies, a provider of technology market intelligence, published a report called “Cryptocurrency Identity Crisis” where, among other things, they rank both wallets and exchanges by the amount of personal information they ask for before they permit their clients to start trading. The exchanges with 9 as the highest score are Coinbase, Gemini, Poloniex and ItBit. 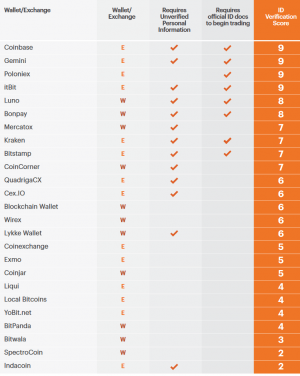 No wallets have scored higher than 8, and Luno and Bonpay are ranked the highest among those. On the other side of the rating, Indacoin is the lowest-graded exchange at 2, and SpectroCoin is the least-compliant wallet with the same grade. They add that the majority of crypto exchanges and wallets don’t have proper KYC (know your customer) procedures in place, and are not ready for the implementation of the Fifth Anti-Money Laundering Directive in the EU next year, a new directive aimed at the prevention of money laundering and tax-avoidance, and minimizing the ability of criminals to use those proceeds to fund crime and terrorism. The implementation of AMLD5 next year may be an overload of new directives addressing cryptocurrency- and blockchain-related businesses in the light of many of these currently struggling with staying GDPR-compliant.